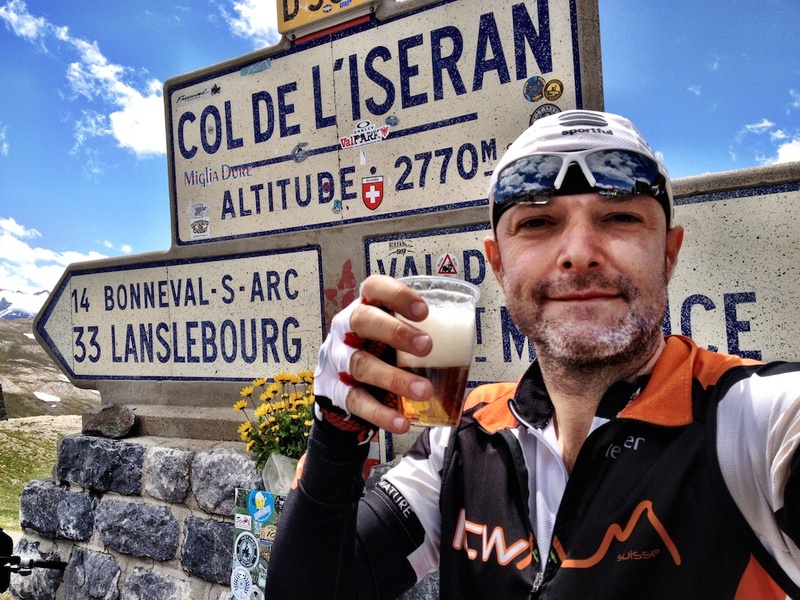 This is the third article in a series detailing the 684 kilometre Route des Grandes Alpes. A great cyclo-tour through the French Alps, over 16 mountain passes, on a road linking Lake Geneva (Lac Léman) to the Mediterranean Sea. The main goal of these articles is to highlight alternate route options and interesting detours. Unlike the previous two stages, I have no major detours to recommend. There is only one road possible for this stage. Instead, I’ll just suggest a few interesting climbs passed along the way. This is a one-climb stage, but what a climb. 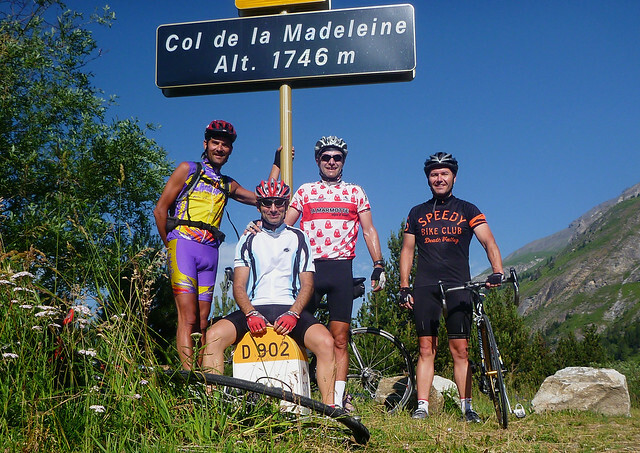 At 2764 metres, Col de l’Iseran is the highest paved mountain pass in Europe. It’s also one of the longest. 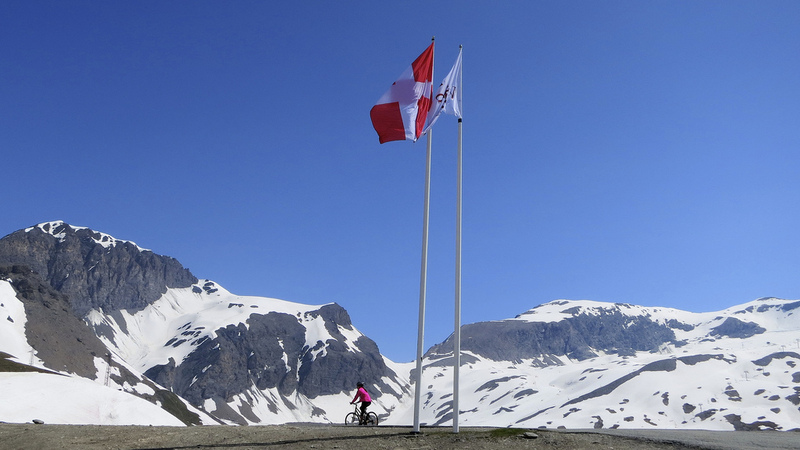 It’s 47.5 kilometres to the summit from Bourg St-Maurice – the start of this stage. Also starting in Bourg-St-Maurice are two interesting climbs: Les Arcs ski station, and Col du Petit St. Bernard. Remember to bring a flashing red light for the back of your bike. There are a series of dark, wet tunnels when you pass Lac/Dam du Chevril just before Val d’Isère. In between these tunnels is a little turn-off up to the Barrage (dam) du Saut – the 13th highest paved road in France. A scenic little detour. More details. 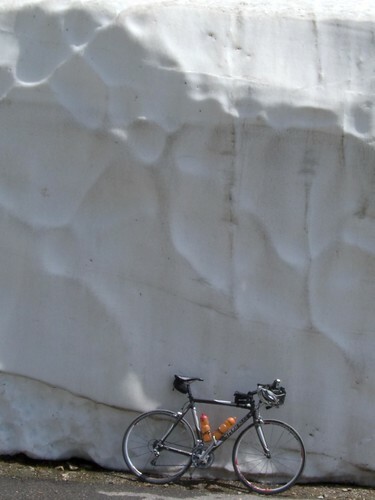 It’s not until the last 15 kilometres – after Val d’Isère – that the north side of Col de l’Iseran gets interesting. But the top stretch of both sides are truly beautiful. I particularly like the south side of Iseran. Very remote. You’re bound to see some Marmottes if it’s a quiet day. As you near the end of this stage, the route passes another pass – Col de la Madeleine (1746 metres; not the famous Madeleine). This stage ends at Lanslebourg. Here the main road splits. The Route des Grandes Alpes continues through the Maurienne valley towards the start of Col du Galibier. But another road heads up, into Italy, via Col du Mont Cenis. If you still have some energy, it’s only 10 kilometres to the Col (2181 metres), and just a little further to the beautiful Lac du Mont Cenis. 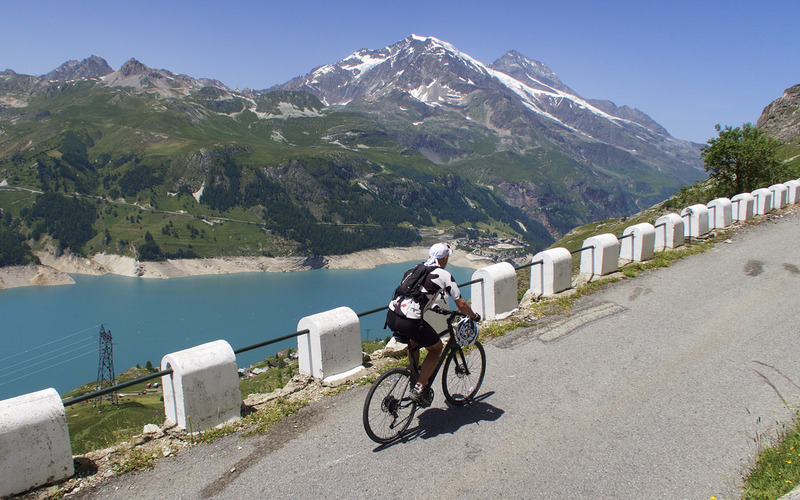 Details here including the amazing little road even higher to Col du Petit Mont Cenis. I’ve also added the climb to Plan du Lac to the map. Starting in Termignon, just beyond the end of this stage, it is the 7th highest paved road in France. Not well known, it is a superb climb. Details here. 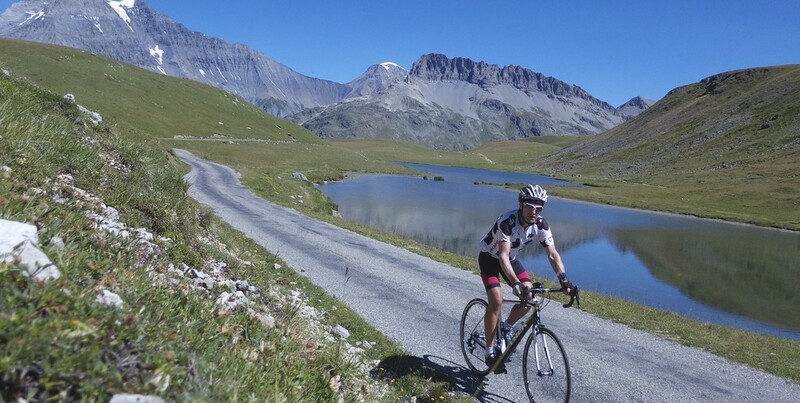 Col de l’Iseran (2764 metres) is often the last col to open on the route des Grandes Alpes. It is very difficult to bypass, but one would need to head into the Maurienne valley. Maybe a train/cycle from Bourg St-Maurice to La Chambre? Iseran should be reliably open through September – after it is hit and miss but often October is possible. Official Savoie Col open/closed map here. Thanks Will. It is a short day to Lanslebourg. We pushed on to Valloire without any trouble. But I guess it depends on your thoughts whether Telegraph & Galibier should be done together or not! 2) What did you think of the road between Lanslebourg and St-Michele-Maurienne? Did you take the main road or via Aussois? Will, I think that stretch of road was about the worst part of the entire route-des-grandes-alpes (perhaps comparable to Geneva-Thonon!). I damaged my back wheel on some roadworks, had to wait for a spare wheel to arrive while rest of the group rode on. I took the main road and basically did an ITT in order to arrive in Valloire before the local bike store closed to fix my wheel (which they did. There was a fantastic mechanic at the bike store in Valloire!). So basically it was not a nice stretch of road, but I spent most of it on the rivet looking down at my stem! Tim, Thanks. (sorry to hear of the troubles you had). But that is exactly my view. As I do stage 4, I will recommend an alternate road that skips some of that stretch. I even read somewhere that people recommend using the train – but that seems a little extreme. Thanks againWill for providing us with such valuable “inside” information. Knowledge like this can only be gained by many hard hours in the saddle (yours!). Thanks for so generously sharing it. I retire this June and hope to realize a lifelong dream of riding many of these cols, your descriptions couldn’t have been more timely. Best wishes for a safe and happy New Year filled with great rides and good beers! 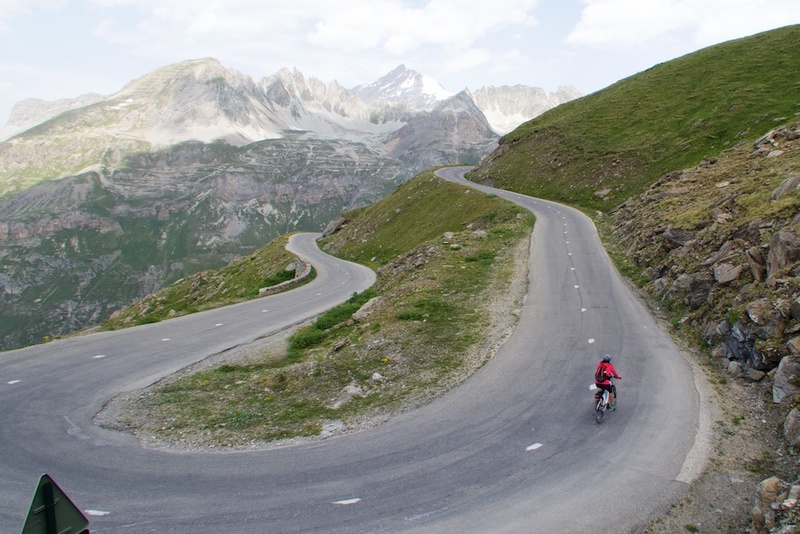 A little detour that skips a bit of the main road out of BSM: in Séez start the climb toward Petit-St-Bernard, and in a lft-handed hairpin keep straight toward Montvalezan, then Châtelard (lovely white chapel), then descend to Ste-Foy-Tarentaise. great idea, thanks – I suppose it adds a little extra climbing.